We may, once in a while find ourselves reflecting on an old love. Someone, from days gone by that we shared an intense feeling of deep affection for. Intimate emotions that once filled our hearts with warmth and tenderness resurface. It is our Soul that remembers the endearment of the loves we have encountered in our life. Our Soul will often bring us back to that place inside of ourselves, to rem inis. Perhaps a chance encounter, a synchronistic event will bring an old love into sight again. Out of no where you catch a glimpse of that person from your past that meant so much to you then. Interestingly enough they are just another stranger among the crowd now. What does it mean when your paths cross once more? What is the Universe trying to communicate to you? Sychronicities are messages from our Soul, they reveal information to us in a nonverbal way. Coincidental occurrences to get our attention, they come from deep within us to help us along the way of our path. Remarkable serendipity to perhaps let us know how far we have come, how much we have grown. Maybe they are tests, examinations of sorts to reveal how rooted and grounded we are, where we are. These simple little moments allow us an opportunity to be proud of ourselves, an chance to smile at our own strength and courage. 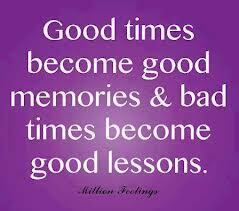 The history of our life tells important tales, memoirs of the past that narrate a saga of good times and bad. A reflection of our journey this far with the hopes that we have moved on to better times. The biography of our existence to this very day, is a record of what we have meant to learn. How much have we evolved! Anything from our past, is meant to be just that – history. When a synchronisity occurs and brings a chance meeting of an old love, enjoy the flutter and the butterflies, smile and keep moving forward because that is what your Soul is revealing to you. Look at how far you have come! !